We developed this unique drill bit to create a curved hole from just below carpet line up into the center of the floor plate in the wall cavity. Avoid the messy and time consuming alternative of removing the base board and chiseling out a path through the wall and the wood floor plate. 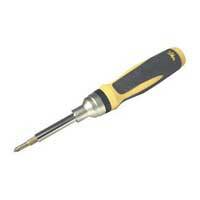 This tool provides a clean, professional installation when you need to route wire or cable from the floor level up into the wall. 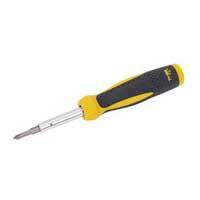 Great for slab construction, concrete floors or under-carpet wire applications. 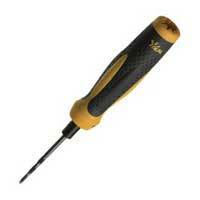 The unique function of this tool is a product of our innovative, patented design there is nothing else like it! 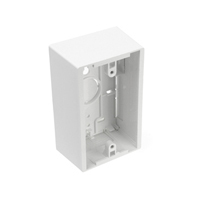 The study powder coated steel frame directs the specialized cable shaft paddle bit up along an arc into the wall cavity so that you prevent drilling through the opposite wall surface. /n The Base-Boar-Zit is now available in two sizes: the standard 5/16” size and the larger 7/16” size to accommodate coax. Each size is shipped as a kit that includes the cable bit with frame, a 10ft. 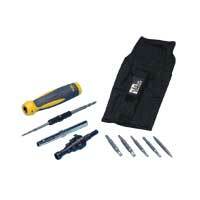 thin fish wire in storage case (to fish your wire or cable through the curved hole) and hex wrench. 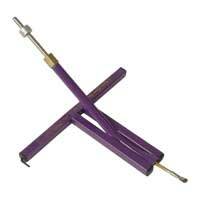 Use the Base-Boar-Zit to drill through a baseboard and up into the wall space. Two sizes available. 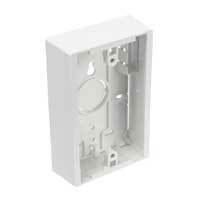 Field-configurable Decora® style housing that accepts all QuickPort® snap-in modules. 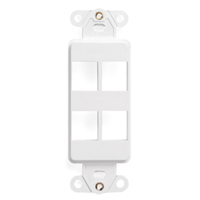 Use to support voice, data, audio and video applications in NEMA openings where a Decora look is desired. 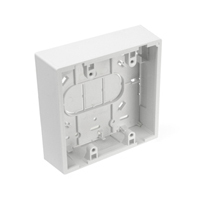 A single- and dual-gang housing for surface mount installation in hard wall or open office environments. 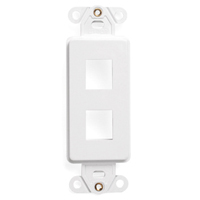 Compatible with all Leviton QuickPort® and MOS flush-mount wallplates. Accommodates various raceway types. - Boxes have tie-wrap anchors at each inside raceway entry point. 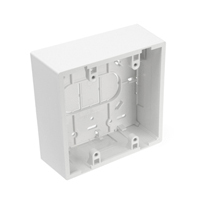 - Dual-gang backbox has four fiber storage tie-wrap anchors located on base surface. 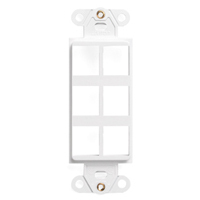 - Screws and tape provided for mounting; optional magnet retention. - Color choice: ivory, white, grey, black. Choose color at checkout. 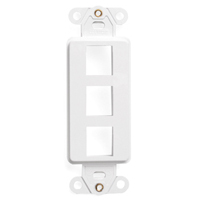 - Compatible with all Leviton multimedia wallplates, including QuickPort® wallplates. Product was received as ordered. The delivery was super fast and at the BEST price on the Internet! Thank you!